I have never seen the play regarded as Eugene O’Neill‘s masterwork on the stage. 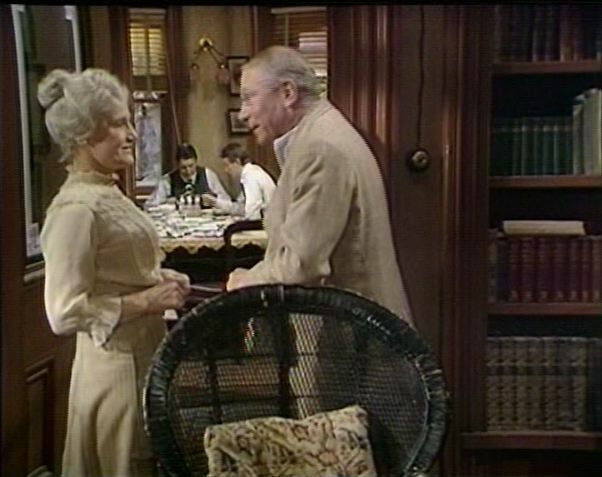 For this and other reasons (which will become apparent) I am delighted that network have just released on DVD the 1973 production of Long Day’s Journey into Night. This is a studio adaptation of a famous National Theatre production with Laurence Olivier from two years before. 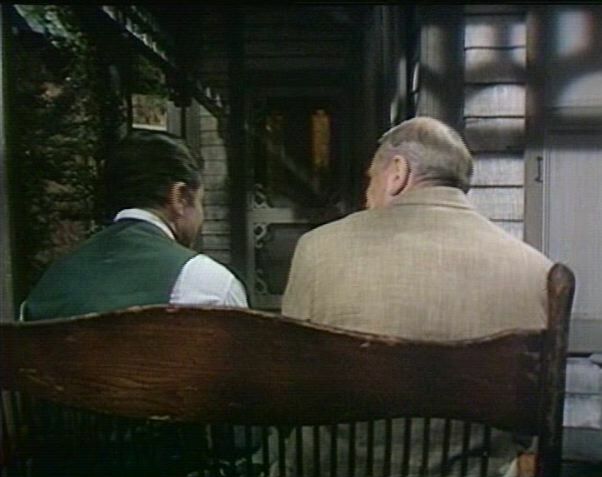 At the time of the stage premiere, Michael Billington wrote of Olivier’s performance in the final act that it was ‘as sustained a piece of great acting as we have seen in years.’ (‘Long Day’s Journey into Night‘, Guardian, 22 December 1971, p. 8) Thrillingly, the force and achievement of the production is captured, and in some ways even enhanced, by the shift to the small screen. Forty years on, this intelligent presentation feels modern, immediate and involving. The play was written in 1941, as O’Neill’s always fragile health was deteriorating, and he stipulated that it should not be published until twenty-five years after his death. The events take place over a single day in the Tyrone household in 1912, and are taken to be broadly autobiographical. The younger of the family’s two sons, Edmund, is a portrait of O’Neill himself, alcoholic, consumptive and about to sent away to a sanatorium – which is where in 1912-13 O’Neill began to write plays. Edmund’s brother, Jamie, is a failed actor, taking consolation in whisky and the town’s whorehouse. Their father James, equally lost in drink, was also once on the stage, as O’Neill’s had been, but late in the drama he admits he threw away a career as a great tragedian for the easy life of a commercial hit that he played thousands of times. And Mary, their mother, at the centre of the drama, is a fragile, lost soul terrifyingly addicted (so we discover in the early scenes) to morphine, first prescribed to her by a quack doctor following Edmund’s difficult birth. After O’Neill’s death in 1953, his wife Carlota disregarded his instructions and arranged for Long Day’s Journey into Night to staged, first in Sweden in 1956 and then later that year on Broadway. The following year O’Neill, who had won the Nobel Prize for Literature in 1936, was posthumously awarded the Pulitzer Prize for Drama. And the play is indeed a complex, constantly surprising work of passion and poetry, apparently naturalistic but with a strong strain of symbolism in its choreography of sun, mist and fog, of light and darkness. Much of the National’s production was carried across to the ATV studio, and the spare closing credits (no technical credits beyond the designers) include ‘Adaptation of stage production for television by Michael Blakemore [billed as the stage director in opening titles] and Peter Wood [acknowledged at the start as the television director].’ The scenery and costumes apparently replicated those by Michael Annals for the National, and the cast repise their roles: Olivier, Constance Cummings gloriously good as Mary, Denis Quilley and Ronald Pickup compelling as the brothers, and a sassy Maureen Lipman in the small role of Cathleen, their maid. Afflicted by evasion and self-delusion, the family quartet gossip, bicker, reminisce, plead, fight and confess in a couple of rooms (and on the porch) across nearly three hours (broken into six parts for commercials). It could not have been the most obvious offering for Lew Grade’s showbiz-driven ATV, even as a prestige production shown on Easter Sunday. ATV’s cutting was tactful and seemed confined mainly to the play’s previous celebrants of the play’s themes – Baudelaire, Dowson, Swinburne – who are honoured at length towards the end […] But the rhythms were profoundly disturbed in other ways. There are no moves to ‘open out’ the stage production. We might, for example, have seen James and Jamie at work on the hedge, or observed Edmund driving off to learn from the town doctor that he does indeed have tuberculosis. But the camera stays inside the home, and just occasionally prowls around its periphery, peering in through the sash windows. 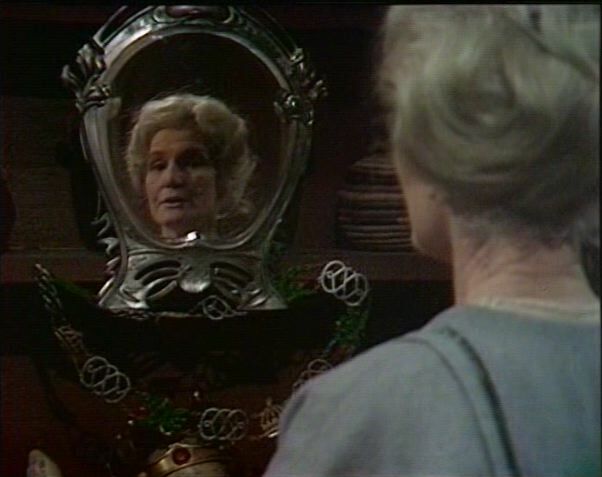 The only obvious differences from what could have been achieved on the stage are some fragments of Mary’s soliloquies given as voice-over and a surprising use of ‘moving stills’ to introduce the protagonists. After a swooping, sweeping camera shot into the set we first see Cathleen dusting the family photographs and placing them one by one on the piano. With each one, the camera cuts to a full-frame black and white still, which is then briefly animated, before we see a conventional single-shot in colour of that character in the drama. The past, caught yet still ‘alive’ in photographs, will be the determining force of the play, present in wistful recollection, in bitter regret and above all in desperate guilt. What Peter Wood achieves with the studio cameras is quietly yet mightily impressive. There is invariably an intent to the framing of the characters,and their positioning in relation to each other and to the angles and depths of the cameras. By exploiting four-wall settings, by varying the height of the viewpoint – going both low and high, by moving fluidly through doorways and around furniture, and most especially by creating frames within the television frame, the direction has filmic dimensions far beyond the conventional studio ‘look’. A glass panel in a door, the windows to the outside, and especially a couple of strategic (and obviously symbolic) mirrors are employed to suggest confinement, the sense of being trapped and the refusal to look beneath the surfaces of convention. Just occasionally, Wood conjures up frames featuring only the backs of his characters, suggesting how distant they are from each other. Yet there is nothing in the director’s controlled approach that takes the eye and the mind away from these people whose plight we are drawn in to share. Studio lamps from nearly forty years were fairly blunt tools with which to shape a drama in which light and shade are so important (look for the remarkable role that electric illumination plays in the later scenes), and early on all-too-familiar hard-edged toplight threatens to swamp any subtlety. But as evening closes in, the cameras conjure up elements of high-contrast expressionism. Even as they do so, the problems of early colour videotape transfereed to DVD come to the fore, with ghosting and streaking plus the appearance of a kind of spotty video ‘grain’. Long Day’s Journey into Night is certainly not in as bad a shape as some studio dramas of the 1970s (judged by the current DVD release, Thames’ 1979 Macbeth, for example, is much worse) but it is apparent that we will soon need to pay as much attention to video restoration as we do to that of film. Despite these technical imperfections, Long Day’s Journey into Night makes an irresistible argument for the value of studio adaptations of notable successes in the theatre, as well as indicating in the clearest terms possible just what we have lost now that a three-hour O’Neill drama is no longer remotely conceivable not only from the ITV network but from television as a whole. The recent second volume of Michael Blakemore’s memoirs, ‘Stage Blood’, is very interesting on his disappointment with the TV version, and includes a magnificent chapter on rehearsal and performance of the stage production.